Grab yourself a jetpack. 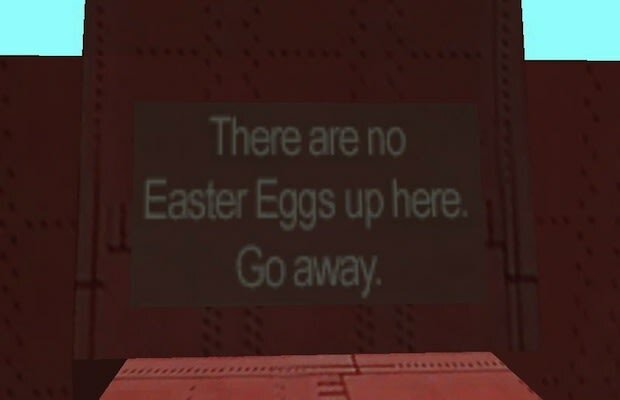 When you get to the bridge between Las Venturas and San Fierro, fly up to the top and you'll see this message from the developers: "There are no Easter Eggs up here. Go away." Which, of course, is still an Easter Egg in and of itself. Milhouse isn't a meme is a meme is a meme.